Enjoy a 4-hour personally guided, small-group, introduction to the ‘City of Sails’. This tour has been handpicked to show you the very best of Auckland: its stunning beaches, historic buildings, leafy inner city parks, iconic volcanoes, scenic drives, pretty colonial suburbs and much, much more. 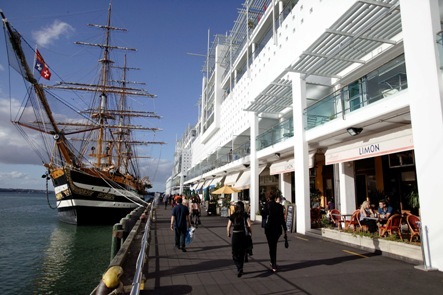 A ‘must’ for anyone wanting a taste of Auckland in just four hours our tour weaves together culture, history, architecture, geography and essential ‘kiwiness’ to showcase our modern, vibrant city. Enjoy dramatic city views, sweeping natural harbours and Hauraki Gulf islands from the summit of now dormant volcanoes Mt. Eden and North Head. 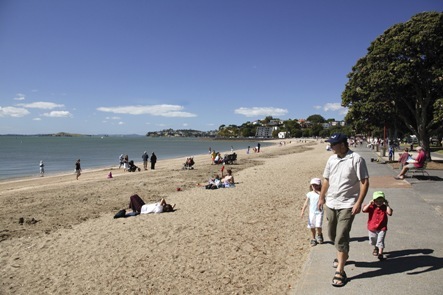 Scrunch the white sand between your toes or take a refreshing dip when we stop for lunch (cost not included) beneath the pohutukawa trees of fabulous Mission Bay. 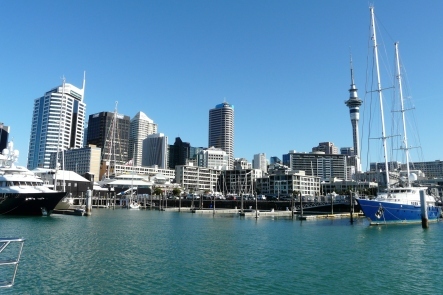 Journey around the inner city via its harbour-hugging landmarks: Queen Street, Sky Tower, Harbour Bridge, Viaduct Harbour, Westhaven Marina, Auckland Fish Market and the Ferry Building, to name but a few. 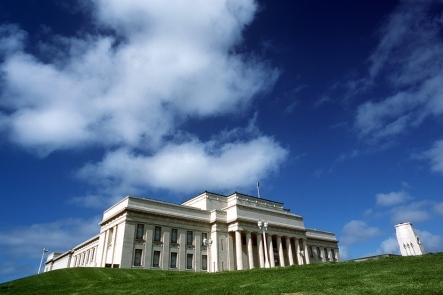 Visit the Domain; Auckland’s expansive, leafy park and natural volcanic amphitheatre holds the imposing Auckland Museum, and its exhaustive Polynesian, Maori and settler exhibits. Pause for photos or an ice cream in Albert Park, with its floral clock, colonial band rotunda and striking Moreton Bay Fig trees. Later browse for souvenirs at Victoria Park Market to the sound of rugby or cricket drifting across the park. See Auckland’s upmarket dining and retail enclaves; Ponsonby and Parnell will charm you with their designer shopping, cafes, restaurants and galleries. You’ll be amazed how much you can see in just 4 hours; leaving you time ashore to shop or explore at your leisure. * Rates above are for 1 Person. Sorry, rates and availability information is not accessible for selected dates. Please contact us by email: tours@nzshoreexcursions.co.nz with your enquiry. Thank you.